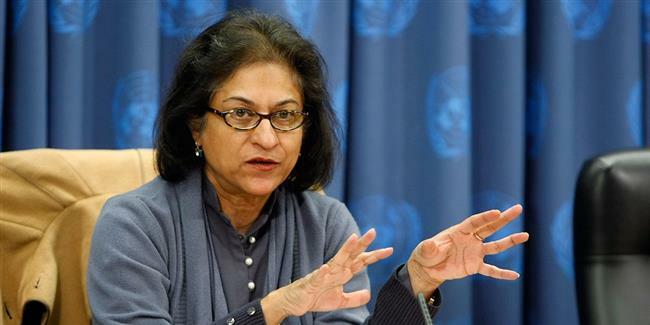 Asma Jahangir will be remembered as a fearless advocate for the rule of law and human rights. She challenged the notion that religion or national security were sufficient grounds to ignore the principles enshrined in the Universal Declaration of Human Rights. At the time of her death on February 11, Asma served as the United Nations’ Special Rapporteur on the situation of human rights in Iran, documenting the injustices and atrocities of Tehran’s clerical regime. Images of Asma, whether staring down armed police or being beaten by them while being dragged to prison, became the symbol of opposition to the Zia dictatorship and appeared on the front pages of newspapers worldwide. Asma said it was her father, Malik Ghulam Jilani, who inculcated in her the belief in civil liberties. Jilani resigned from his position as civil servant in Pakistan to protest against the country’s first military coup in 1958. One of Asma’s memories as a teenager related to an assassination attempt on her father at their Lahore home, instigated by Pakistan’s security services in 1965. Her father was not hurt, but an opposition parliamentarian was injured and a journalist visiting the Jilani home at the time was killed. Jilani was in and out of jail for much of Asma’s early life, refusing to give in to the two military dictators he confronted. Asma took on her father’s mantle of opposing dictatorship when, at a young age, she petitioned Pakistan’s Supreme Court against her father’s detention under martial law. She won the case when the court ruled in 1972, for the first time in Pakistan’s history, against the legality of a military coup. The ruling did not change the course of Pakistan’s history though, and within five years, another military dictator had taken over, duly endorsed by another pusillanimous Supreme Court. The Islamist military dictatorship of General Zia-ul-Haq during the 1980s shut down most opposition. It was during this period that Asma emerged as an icon of resistance to obscurantism and oppression. She co-founded the independent Human Rights Commission of Pakistan, bringing international attention to the rights of Pakistan’s oppressed ethnic and religious minorities, women, children, and political dissidents. She also played a critical role in organising the Women’s Action Forum (WAF), which opposed General Zia’s legislation aimed at rolling back most of the rights that women had achieved in the modern era. WAF organised demonstrations against attempts to reduce a woman’s testimony’s worth in certain legal matters to half the evidence offered by a man, among other things. Images of Asma, whether staring down armed police or being beaten by them while being dragged to prison, became the symbol of opposition to the Zia dictatorship and appeared on the front pages of newspapers worldwide. General Zia’s hand-picked unelected Parliament (called Majlis-e-Shoora) retaliated by passing a resolution accusing her of blasphemy and calling for her to be sentenced to death. The basis of the accusation was a comment that she had allegedly made in a WAF meeting. General Zia set up a commission to investigate the allegation. After General Zia’s death, Asma continued to oppose Pakistan’s blasphemy laws, the harshest in the world, as well as other violations of human rights in the country under weak civilian governments, while also advocating civilian supremacy over Pakistan’s all-powerful military. She refused to accept political office under civilian governments, arguing that her work was in the streets and courts, and that she did not wish to be encumbered by the compromises that are necessary in politics. Her struggle against military dictatorship and Pakistan’s deep state continued through the rule of General Pervez Musharraf, from 1999 to 2008. After the restoration of some semblance of civilian rule, Asma focussed on exposing generals and judges who interfered with the democratic process through behind-the-scenes manipulation. She withstood threats against her and her family, as well as the hazard of vigilante justice orchestrated by religious zealots. Asma secured an unprecedented acquittal for an 11-year-old Christian boy, Salamat Masih, and his uncles who had been wrongly accused of writing blasphemous words on the wall of a mosque in a small town near Lahore in 1993. One of the uncles, Manzoor Masih, was killed outside the District and Sessions Court in Gujranwala during the initial hearing of the case. Asma represented Salamat Masih and Rehmat Masih when they appealed before the Lahore High Court against their conviction by the trial court. Although she won acquittal for both of them from the Lahore High Court in 1995, Justice Arif Iqbal Bhatti, who gave the decision, was assassinated in the chambers of the Lahore High Court in 1997. The case highlighted the inherent injustice of Pakistan’s blasphemy laws. Asma remained undeterred by the continued threats of violence to her opposing these laws, as well as discriminatory laws against the Ahmadiyya sect, until her dying day. She earned recognition as a competent and capable lawyer, unbothered by formalities and considerations of her status. Her sense of justice and fair play was matched by her sense of humour in the toughest of times. One could see her hopping on to the back of a motorcycle, if her car was stuck in traffic, to get to an urgent hearing at the Supreme Court for victims of enforced disappearances. She slept on the floor, with some books under her head as a pillow, on a trip to investigate extrajudicial killings in Balochistan. Asma Jahangir will be remembered by Pakistan’s oppressed and dispossessed as a woman with a huge heart, the simplest of tastes, and great conviction and courage, who gave voice to that unfortunate country’s voiceless.